The 1460 is the original Dr. Martens boot. 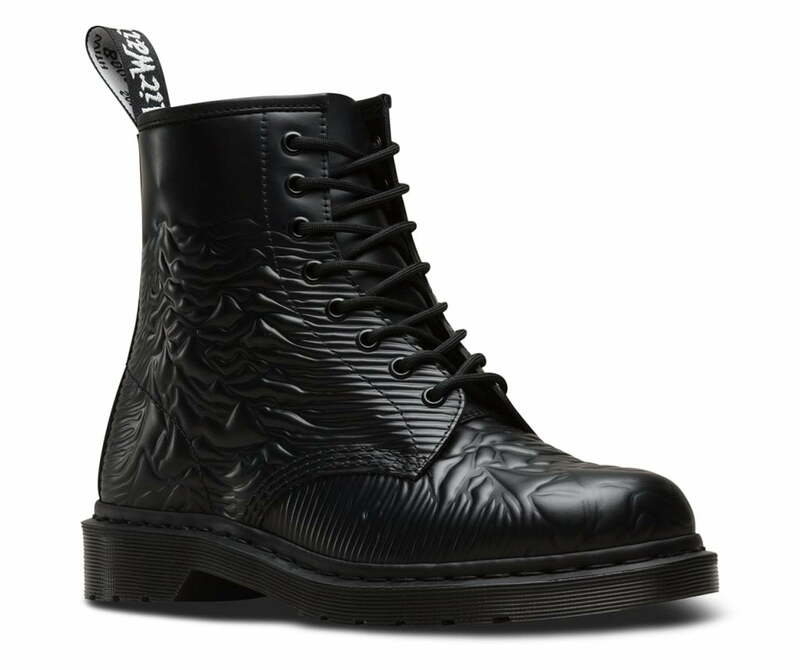 The boot’s instantly recognizable DNA looks like this: 8 eyes, a heel-loop, yellow stitching, and a comfortable air-cushioned sole with grooved edges. 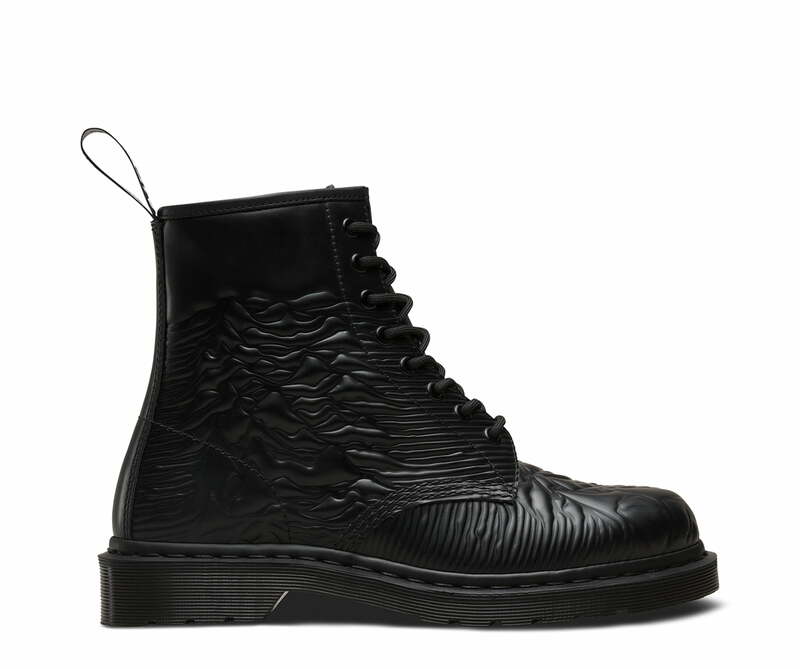 I’m being vaugue because of the build-up I’m going to write: The boot has the artwork of Joy Division’s Unknown Pleasures. 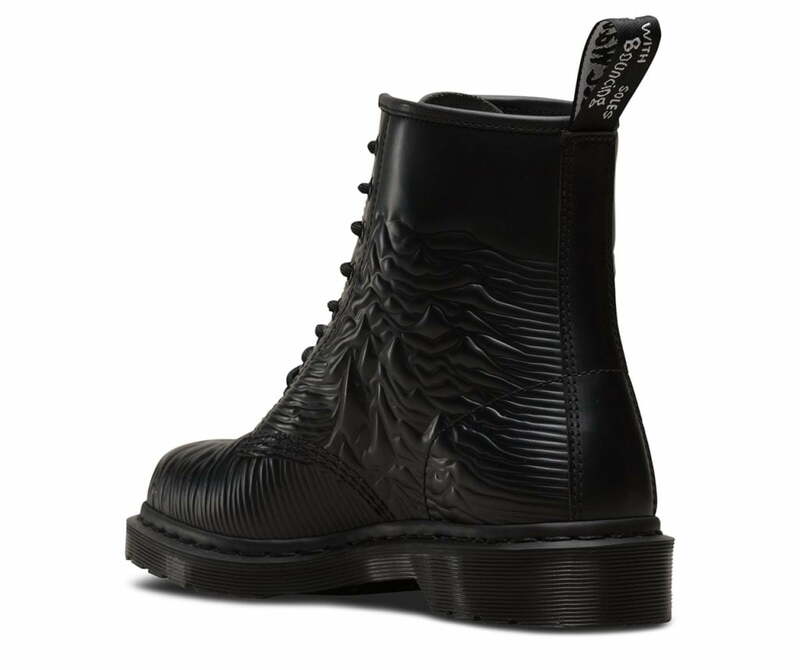 This 1460 was created in homage to British post-punk band Joy Division and the cover art from Unknown Pleasures, their first album. 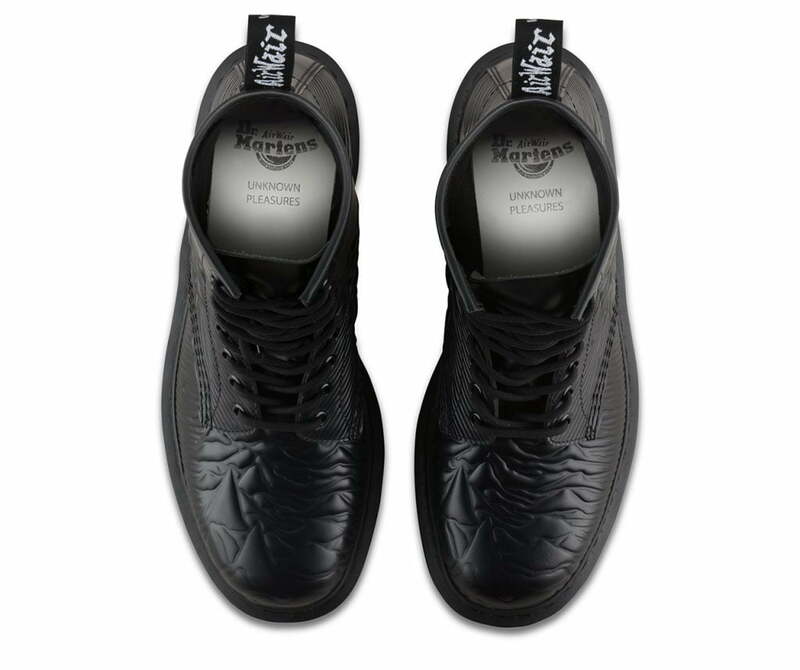 The now-classic design, created by Peter Saville, is a visual translation of pulsar sound waves — explosive, raw and intense — much like the sound of the band. A natural fit for the 1460, the iconic imagery translates seamlessly into an emboss on their classic Smooth leather.